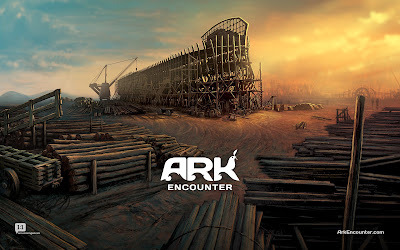 A YEAR OF JUBILEE REVIEWS: Just How Big was Noah's Ark? 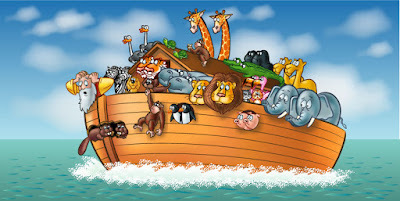 We are studying the flood in Genesis and learning about the Ark. To help put it into better perspective, just how big the Ark was, we measured it in the cornfield next to our house. Here we are working on the width of the Ark. Here they are measuring the width of the Ark, which was approximately 75 feet. Can you see them wayyyy down there! They are marking the 2 far corners of the Ark. Approximately 450 feet away. That is one BIG Ark! Probably a good thing there weren't any of these on the Ark! But these probably were (or cats of some sort). Running the full length of the Ark! Well there isn't really any place to go UP in a corn field so we utilized the house. Getting the measuring tape out. 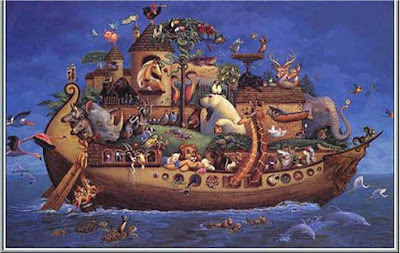 The roof peak to the kids was only half the height of the Ark. The Ark is approx. 45 ft tall, which is 3 stories tall. Noah's Ark was 450 ft long, 75 feet wide, and 45 feet tall approximately based on what is believed to be a cubit. So the depiction like this..
are a little on the small size!! It's exciting that they are making a life size replica in Northern Kentucky! Ark Encounter has some great video clips of how far they have come in the process.